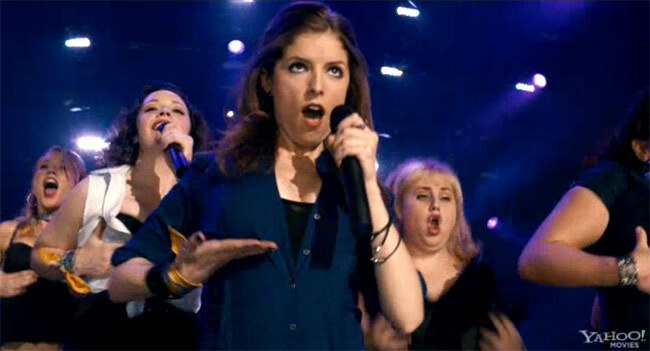 Ritmo Perfecto. . Wallpaper and background images in the Ritmo Perfecto club tagged: pitch perfect anna kendrick rebel wilson. This Ritmo Perfecto photo contains concierto. There might also be retrato, tiro en la cabeza, primer, headshot, primer plano, en la cabeza, and closeup. fat amy/patricia/rebel's face in the back!! lol!! !